The Siege of Boston occurred during the American Revolution and began April 19, 1775 and lasted until March 17, 1776. Commencing after the opening battles at Lexington & Concord, the Siege of Boston saw the growing American army block the land approaches to Boston. During the course of the siege, the two sides clashed at the bloody Battle of Bunker Hill in June 1775. The stalemate around the city also saw the arrival of two commanders who would play a central role in the conflict over the next three years: General George Washington and Major General William Howe. As the fall and winter progressed, neither side proved able to gain an advantage. This changed in early 1776 when artillery captured at Fort Ticonderoga arrived in the American lines. Mounted on Dorchester Heights, the guns compelled Howe to abandon the city. In the wake of the Battles of Lexington & Concord on April 19, 1775, American colonial forces continued to attack British troops as they attempted to withdraw back to Boston. Though aided by reinforcements led by Brigadier General Hugh Percy, the column continued to take casualties with particularly intense fighting occurring around Menotomy and Cambridge. Finally reaching the safety of Charlestown late in the afternoon, the British were able to gain a respite. While the British consolidated their position and recovered from the day's fighting, militia units from across New England began arriving on the outskirts of Boston. By morning, around 15,000 American militiamen were in place outside of the city. Initially guided by Brigadier General William Heath of the Massachusetts militia, he passed command to General Artemas Ward late on the 20th. As the American army was effectively a collection of militias, Ward's control was nominal, but he succeeded in establishing a loose siege line running from Chelsea around the city to Roxbury. Emphasis was placed on blocking Boston and Charlestown Necks. Across the lines, the British commander, Lieutenant General Thomas Gage, elected not impose martial law and instead worked with the city's leaders to have private weapons surrendered in exchange for allowing those residents who desired to leave Boston to depart. Over the next several days, Ward's forces were augmented by new arrivals from Connecticut, Rhode Island, and New Hampshire. With these troops came permission from the provisional governments of New Hampshire and Connecticut for Ward to assume command over their men. In Boston, Gage was surprised by the size and perseverance of the American forces and stated, "In all their wars against the French they never showed such conduct, attention, and perseverance as they do now." In response, he began fortifying parts of the city against attack. Consolidating his forces in the city proper, Gage withdrew his men from Charlestown and erected defenses across Boston Neck. Traffic in and out of the city was briefly restricted before both sides came to an informal agreement allowing civilians to pass as long as they were unarmed. Though deprived of access to the surrounding countryside, the harbor remained open and ships of the Royal Navy, under Vice Admiral Samuel Graves, were able to supply the city. Though Graves' efforts were effective, attacks by American privateers led prices for food and other necessities to rise dramatically. Lacking artillery to break the stalemate, the Massachusetts Provincial Congress dispatched Colonel Benedict Arnold to seize the guns at Fort Ticonderoga. Joining with Colonel Ethan Allen's Green Mountain Boys, Arnold captured the fort on May 10. Later that month and into early June, American and British forces skirmished as Gage's men attempted to capture hay and livestock from the outer islands of Boston Harbor (Map). On May 25, HMS Cerberus arrived at Boston carrying Major Generals William Howe, Henry Clinton, and John Burgoyne. As the garrison had been reinforced to around 6,000 men, the new arrivals advocated for breaking out of the city and seizing Bunker Hill, above Charlestown, and Dorchester Heights south of the city. The British commanders intended to implement their plan on June 18. Learning of the British plans on June 15, the Americans quickly moved to occupy both locations. To the north, Colonel William Prescott and 1,200 men marched onto the Charlestown Peninsula on the evening of June 16. After some debate among his subordinates, Prescott directed that a redoubt be constructed on Breed's Hill rather than Bunker Hill as originally intended. Work commenced and continued through the night with Prescott also ordering a breastwork to be built extending down the hill to the northeast. Spotting the Americans works the next morning, British warships opened fire with little effect. In Boston, Gage met with his commanders to discuss options. After taking six hours to organize an assault force, Howe led British forces over to Charlestown and attacked on the afternoon of June 17. Repelling two large British assaults, Prescott's men stood firm and were only forced to retreat when they ran out of ammunition. In the fighting, Howe's troops suffered over 1,000 casualties while the Americans sustained around 450. The high cost of victory at the Battle of Bunker Hill would influence British command decisions for the remainder of the campaign. Having taken the heights, the British began work to fortify Charlestown Neck to prevent another American incursion. While events were unfolding in Boston, the Continental Congress in Philadelphia created the Continental Army on June 14 and appointed George Washington as commander-in-chief the following day. Riding north to take command, Washington arrived outside Boston on July 3. Establishing his headquarters in Cambridge, he began molding the masses of colonial troops into an army. 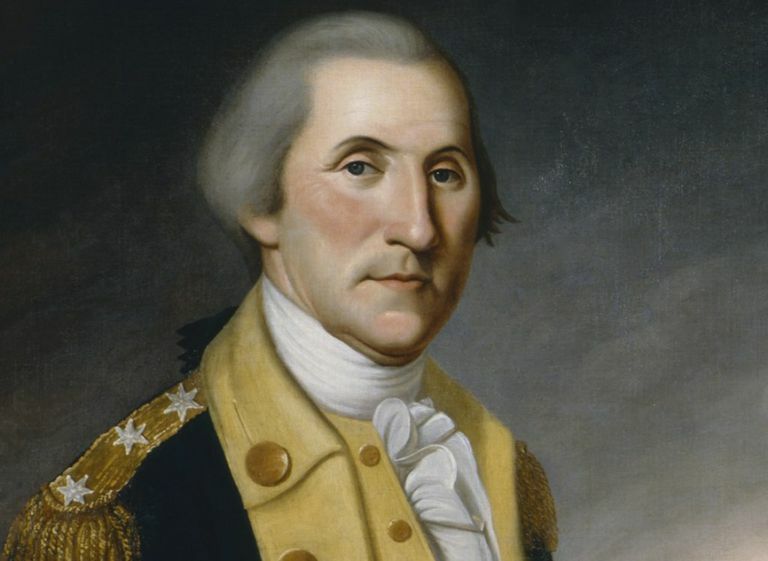 Creating badges of rank and uniform codes, Washington also began creating a logistical network to support his men. In an attempt to bring structure to the army, he divided it into three wings each led by a major general. The left wing, led by Major General Charles Lee was tasked with guarding the exits from Charlestown, while Major General Israel Putnam's center wing was established near Cambridge. The right wing at Roxbury, led by Major General Artemas Ward, was the largest and was to cover Boston Neck as well as Dorchester Heights to the east. Through the summer, Washington worked to expand and reinforce the American lines. He was supported by the arrival of riflemen from Pennsylvania, Maryland, and Virginia. Possessing accurate, long range weapons, these sharpshooters were employed in harassing the British lines. On the night of August 30, British forces launched a raid against Roxbury, while American troops successfully destroyed the lighthouse on Lighthouse Island. Learning in September that the British did not intend to attack until reinforced, Washington dispatched 1,100 men under Arnold to conduct an invasion of Canada. He also began planning for an amphibious assault against the city as he feared his army would break up with the arrival of winter. After discussions with his senior commanders, Washington agreed to postpone the attack. As the stalemate pressed on, the British continued local raiding for food and stores. In November, Washington was presented a plan by Henry Knox for transporting Ticonderoga's guns to Boston. Impressed, he appointed Knox a colonel and sent him to the fort. On November 29, an armed American ship succeeded in capturing the British brigantine Nancy outside of Boston Harbor. Loaded with munitions, it provided Washington with much needed gunpowder and arms. In Boston, the situation for the British changed in October when Gage was relieved in favor of Howe. Though reinforced to around 11,000 men, he was chronically short on supplies. As winter set in, Washington's fears began to come true as his army was reduced to around 9,000 through desertions and expiring enlistments. His situation improved on January 26, 1776 when Knox arrived in Cambridge with 59 guns from Ticonderoga. Approaching his commanders in February, Washington proposed an attack on the city by moving over the frozen Back Bay, but was instead convinced to wait. Instead, he formulated a plan to drive the British from the city by emplacing guns on Dorchester Heights. Assigning several of Knox's guns to Cambridge and Roxbury, Washington began a diversionary bombardment of the British lines on the night of March 2. On the night of March 4/5, American troops moved guns to Dorchester Heights from which they could strike the city and the British ships in the harbor. Seeing the American fortifications on the heights in the morning, Howe initially made plans for assaulting the position. This was prevented by a snowstorm late in the day. Unable to attack, Howe reconsidered his plan and elected to withdraw rather than have a repeat of Bunker Hill. On March 8, Washington received word that the British intended to evacuate and would not burn the city if allowed to leave unmolested. Though he did not formally respond, Washington agreed to the terms and British began embarking along with numerous Boston Loyalists. On March 17, the British departed for Halifax, Nova Scotia and American forces entered the city. Having been taken after an eleven-month siege, Boston remained in American hands for the remainder of the war.